Brackenridge is one of the countries best wedding venues. “To the best wedding / covers band – EVER!!! We wanted to, no absolutely had to, write this testimonial of our own accord to say how incredibly impressed and super stoked we were when you played our wedding. From our first dealings with the band you were easy to deal with and accommodating to our requests (including learning a new Sterophonics song for us that was special to us) and creating a more rockier set list for the reception. What you had prepared was killer and everyone was up on the dance floor all night. It wasn’t you’re typical “Wedding Set List” it was fresh, varied, modern, had the classics, and was super polished. We also booked you to play an acoustic set for us during our Saturday BBQ for 3 hours and what was planned as a simple easy BBQ turned in to another amazing day / night party. The song choices for Saturday were bang on and had people approaching us all day expressing how amazing the band was. So from Simone and I both thank you for helping us create the wedding we dreamed of, rock on guys!! We’re lucky in Wellington to have some of the countries finest vineyards right on our back door. A short hours drive and you’re in Martinborough enjoying the finest cuisine and hospitality available. Brackenridge is in the heart of Martinborough and is one of our favourite venues. As a travelling wedding band, we have the privilege of playing some of the countries most beautiful venues. There are many great venues that cater to all types of function. 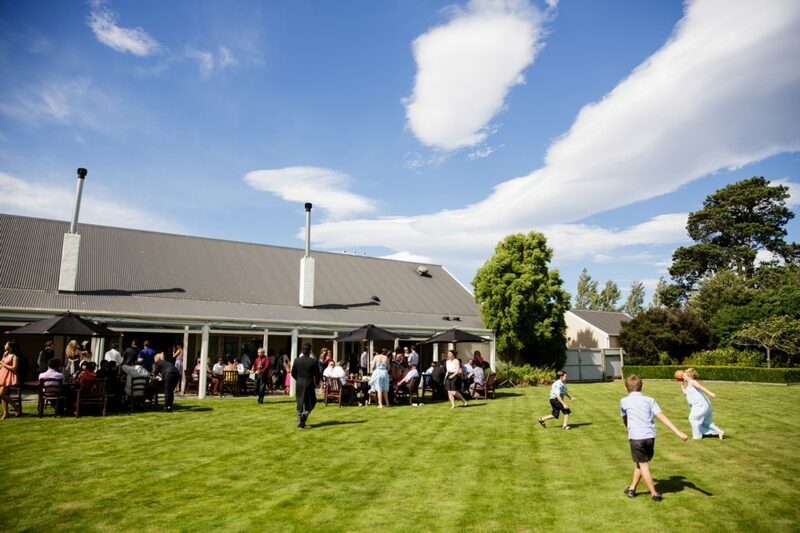 We highly recommend Brackenridge as a venue to consider for your wedding or corporate event in the Wairarapa. Based in Wellington, The Relatives will travel to your wedding or event. Email Simon to discuss your live entertainment requirements and see whether The Relatives will be right for your wedding.